It feels like we have barely had a summer and already fall fashion trends are filling up our favourite high street stores and I’m grabbing a sweater before leaving my apartment with the evenings becoming cooler. With the change in weather and seasons it’s important to look after your skin. Summer skin needs extra protection. That’s a given. Sun, salt air and even sand affect skin texture. However, skin needs year round protection and care that keeps it lustrous, vibrant and resilient. Summer skin regimens differ from those required when the first cool autumn breezes begin. Skin care tips start with cleansing. It is essential to remove the daily onslaught of residue pores tend to store. Each skin type needs cleansers that are effective and remove dirt and excessive oil. When you buy tanning oils and other skin products that prevent summer skin from drying or becoming sun damaged, skin begins to adapt to the ingredients in these products. When temperatures change, these ingredients may not be suitable and can clog pores. Summer skin needs to transition to skin adaptable to autumn and winter temperatures. The secret to great skin tone is to understand the specific pH balance of individual skin. Oily skin requires a different daily skin care regimen than dry and normal skin tones. The basic equation to understand pH skin balance is to add to dry and normal skin the nutrients lacking and subtract excessive nutrients in oil skin to avoid skin problems. When you wake up in the morning, this is the time to discover your particular skin needs. For example, if your skin feels dry early in the morning or too oily, plan for gentle cleansing for dry and normal skin tone and more thorough cleansing for oily skin. Always follow up cleansing with a lemon or cucumber astringent to help dry any soap film or residue. After applying astringent, choose a moisturizer for dry and normal skin. For oily skin, use a moisturizer with a lower volume of emollients. Finally, don’t forget about those lips! 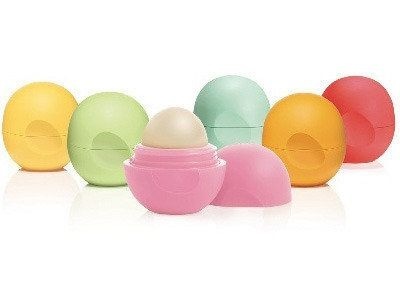 Use a lip balm with all natural ingredients like Evolution of Smooth and keep those lips looking luscious. My favourite is their strawberry sorbet and coconut milk. They also smell delicious! Use your morning or afternoon breaks and lunch hour to refresh your skin. If makeup has been applied, try removing excess makeup with a convenient cleansing pad. Dab the skin wherever it appears dull or too shiny.